History of international relations and foreign policy of Russia. The study of Russian foreign policy history makes it possible to understand its contemporary realities. This course is dedicated to the study of relations between Russia and leading world powers from the 17th century until now. History does not teach, it rather educates the person and makes it free in its judgements, capable of distinguishing truth from propaganda and ideology. In fact, history forms the mentality of society, and therefore, it is necessary to understand one's own personality. History provides an opportunity to navigate in current political situations and relations between states, which means understanding your country's place on the world stage. History of Russia is rich of events and activities of outstanding people. The fact that our country for centuries has preserved its territorial integrity, sovereignty and independence, is very important - and this success was achieved not only by dozens of great statesmen, diplomats and military leaders, but also by common people. Knowing the history of Russia, its foreign policy and diplomacy is not only important for the citizens of our country, but also helps other peoples to better understand the nature and soul of Russia. This is especially important in our days, when the Western propaganda tries to blacken our homeland, to falsify and rewrite its history. Every person in any part of the world who studies the history of Russia must learn that Russia never started wars in its entire history, but invariably ended them. Comprehension of this will make it possible to better understand the nature and characteristics of Russia's contemporary foreign policy and explain its actions in the international arena. The course is addressed to a wide audience interested in history of international relations, history of foreign policy and diplomacy, but primarily focused on applicants and students. General education is required. It is necessary to be able to work with information sources, draw conclusions from the information received and understand the cause-effect relationship. Special historical knowledge is not required. What will you have learnt? By the end of the course you will be able to: • Analyze the key events and personalities in the history of international relations and Russia's foreign policy; • Understand the genesis and evolution of the international relations' system and Russian foreign policy course; • Understand main priorities of the Russian foreign policy at various stages of its history; • Understand the role of Russia in international relations during the periods under review; • Understand Russia's relations with the great European and world powers; • Analyze the features of international relations and Russia's foreign policy; • Interpret the role of the individual in international relations and Russia's foreign policy. Chapter 1. Thirty Years' War and the Formation of the Westphalian System of International Relations. The main contradictions between the leading countries of Europe in the second half of the XVI century. Conflicts in Europe before the Thirty Years' War. Foreign policy interests and priorities of European countries in the pre-war period. Stages of the Thirty Years' War, the main battles and actors. The Peace of Westphalia of 1648. Participation of Russia in the Thirty Years' War and the importance of the Treaty of Westphalia. Without listening to this lecture, it is impossible to understand the whole subsequent course, since еhe Westphalian System of International Relations was the first one in human's history. Chapter 2. Foreign policy and diplomacy of Peter I. Main directions and the beginning of foreign policy course of Peter I. The Great Embassy of 1697-1698. The Northern War: from Narva to Poltava. The Northern War: from Poltava to the Nystad Peace. The Eastern policy of Peter I. Without listening to this lecture, one can not understand the next course dedicatet to the Russian foreign policy, since the epoc of the Peter I was the time when Russia made first step towards becoming a great power. Chapter 3. Foreign Policy and Diplomacy of Catherine II. Main directions of foreign policy of Catherine II. First period of foreign policy of Catherine II (1762-1774). Second period of Catherine II's foreign policy: from the Kyuchuk-Kainarji treaty to the Russian-Turkish wars of 1787-1791. Second period of the policy of Catherine II: from the Russian-Turkish war of 1787-1791 up to the third partition of Poland. Catherine II and the Great French Revolution. Results of foreign policy of Catherine II. Without listening to this lecture, one can not understand the next course, since at the time of Catharine II Russia became a great power. Chapter 4. French Revolution and the Empire of Napoleon. American-French relations during the war for US independence. The conceptual basis of the policy of revolutionary France. Napoleonic wars. The great collapse of 1812. The last adventure and the end of Napoleon's era. Without listening to this lecture, one can not understand the specifics of the European and world politics in the 19th century after the emergence of a new international actor in the face of the United States and the factor of Napoleon, who made the first attempt to unite Europe. Chapter 5. Diplomacy of the Crimean War. The threshold of the Crimean War. The beginning of a dispute about the holy places in Jerusalem. The aggravation of relations between Russia and France due to the history of the title of Louis Bonaparte. Diplomatic initiatives of Nicholas I about the fate of the Ottoman Empire. Positions of England and France. Mission of А.S. Menshikov and the policy of Lord Stratford. The aggravation of the conflict. Positions of France, England, Austria, Turkey. The beginning of hostilities. Diplomacy of England, Austria, France. A "strange war." Diplomacy of Alexander II. Divergence of interests of England, Austria, France. Paris Congress pf 1856. End of the "Concert of Great Powers". Without listening to this lecture, one can not understand the reasons for the collapse of the Vienna system of international relations and the transformation of Russia's foreign policy in consequence of the defeat in the Crimean War. Chapter 6. Russian diplomacy in the struggle to abolish restrictive articles of the Paris Treaty of 1856 about the neutralization of the Black Sea. Main directions of foreign policy of Alexander II. Russian-French rapprochement. Polish uprising of 1863 and Russia-Prussian rapprochement. Cancel of the neutralization of the Black Sea. Without listening to this lecture, it is impossible to characterize Russia's foreign policy in the aftermath of the defeat in the Crimean War, when Russia managed to overcome the consequences of this defeat exclusively through diplomatic channels and by concentrating on resolving internal problems. Chapter 7. The role of personality in the history of international relations. General information about the role of personality. Political leaders. Leaders of the National Liberation Movement. Diplomats. Without listening to this lecture one can not understand the role of the subjective factor in the international relations and Russia's foreign policy. RUDN University is one of the best world class universities in Russia ranked by Times Higher Education World University Rankings, QS World University Rankings and Round University Ranking. We are among the leaders in categories "International students" and "Student-to-staff ration" and the greenest university in Russia according to UI GreenMetric Ranking. RUDN is the first university in Russia to get 5 QS stars in 5 ranking categories. Every year we are rising higher on the list of the best universities of emerging Europe, Central Asia and BRICS countries. Find more information on: http://eng.rudn.ru/. For obtaining your Statement of Participation in the Audit Track, you need to complete 80% of the video lectures and quizzes and pay the fee. Narochnitskaya N.A. Russia and the Russians in world history. - Moscow: International relations, 2003. - 536 pp. Protopopov AS, Kozmenko VM, Shpakovskaya MA History of International Relations and Foreign Policy of Russia (1648-2010), Moscow, "Aspect Press", 2013. Astashin V.V. The history of international relations and foreign policy of Russia. Rostov-on-Don, "" Phoenix, 2010. History of international relations. // Ed. G.V. Kamenskoe, OA Kolobova, E.G. Solovyov. M., Logos, 2007. Born in 1953 in Moscow. 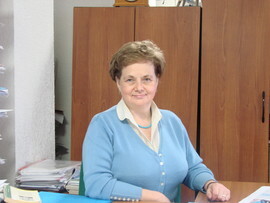 In 1976 she graduated from the Faculty of History of Moscow State University. Mv Lomonosov specialty "History of the USSR." From 1976 to 1991 she worked in the Cuba sector of the Institute of Economics of the World Socialist System of the USSR Academy of Sciences. Working at the Institute in 1986, she defended her thesis on the specialty "History of international relations and foreign policy" on the subject - "Cooperation of the Soviet Union and the Republic of Cuba in the preparation of Cuban national personnel." From 1997 to 2001 she was a doctoral student at the Department of Russian History at RUDN. In 2003 she prepared for publication and published the book “А.А. Kizevetter in Russian historiography. In the same year, the doctoral thesis “A. Kizevetter in Russian Historiography. Since 2000 he has been working at the Department of Theory and History of International Relations of RUDN. He is the curator of the Scientific Student Society "International", created on the basis of the department. Organizes and conducts scientific student conferences, "round tables" and other scientific events. Supervises the publication of student research products. He is a member of the dissertation council D. 212.203.03 PFUR. He is a member of the presidium of the movement "For the Strengthening of a Democratic World Law and Order and in Support of the UN." His research interests encompass a number of issues: the history of international relations, the history of diplomacy, modern problems of globalization, the problem of disarmament, modern diplomacy of Italy, and Russian emigration: its role and importance of world culture. Basics cit: Monograph - A.A. Kizevetter in Russian historiography. - M .: RUDN, 2003. Reviews: Book review: Narinsky M.M. History of International Relations 1945-1975: Study Guide. - M. Publishing house ROSSPEN, 2004. // Bulletin of RUDN. Series “International Relations”, No. 1. M .: Publishing House of the RUDN University, 2005. p. 257-261; Book Review: Shakleina TA Russia and the United States in the new world order. Discussions in the political and academic communities of Russia and the United States. (1991-2002) M .: Publishing house ISCRAN 2002. // Bulletin of RUDN. Series "International Relations", №1. M .: Publishing house of PFUR, 2004. P. 240-241. Articles: Republic of Cuba. Economics and politics of the foreign countries of socialism (in collaboration with A. Mikhailov). M. Publishing House Science, 1982; Some questions of the state and solution of the environmental problem in Cuba. // The environmental problem of the CMEA member countries. M .: Publishing house IEMSS Academy of Sciences of the USSR, 1990; Eleven years in emigration (from the life of Professor A. Kiesewetter in Prague) - based on materials from Moscow archives. // West nickname RUDN. Series "International Relations", №1. M .: Publishing house of RUDN, 2001; On the cultural mission of Russian emigrants // Bulletin of the RUDN University. Series “International Relations”, No. 3. M .: Publishing House of the RUDN University, 2003. p. 103-109; From the history of disarmament negotiations in Europe: 70-80-ies. Twentieth century. and modernity. // Scientist, teacher, public figure. On the 85th anniversary of the honorary professor of the Peoples' Friendship University of Russia, Doctor of Historical Sciences A.S. Protopopov. M .: Publishing house of RUDN, 2007. P. 179-185; Moscow and Russian abroad. // The first Zabelinsky (Kuntz) reading. Favorite city? Designing a new quality of life. M .: Izd-vo MIOO, 2005. P. 67-71; About the life and activities of Russian emigrants in Czechoslovakia (1918-1928). Russian points of support: historical and prognostic analysis. M .: Izd-vo MIOO, 2006. p. 147-149; On the cultural mission of Russian émigrés. M .: Publishing house of PFUR, 2003. p. 103-109; The memory of the past. Russians in Prague. (1918-1929). // Spirituality, morality and culture of Russian history. M .: Publishing house of RUDN, 2006. p. 744-748; Russian emigration of the first wave: traditions and culture. // History-society-culture-education-language (Problems of cultural dynamics of intercivilizational interactions and communication in social development). Issue 1. M .: Publishing house of the RUDN University, 2007. P.177-182; From the history of negotiations on disarmament between the USSR and the USA in the 80s. Twentieth century. // Modern problems of international relations and world politics: Proceedings of the fourth intercollegiate scientific conference of students, graduate students and young scientists. M .: Publishing house of RUDN, 2008. p. 253-259); Some questions from the history of the struggle for disarmament in the 80s. Twentieth century. // Some problems of international relations and Russian foreign policy (history and modernity). M .: Econinform, 2009. p. 175-190; Lecture notes. Fundamentals of diplomacy and international relations. M .: Publishing house of RUDN, 2006; Toolkit. History of international relations (From the Middle Ages to the First World War). (In collaboration with VG Dzhangiryan). M .: Publishing house of RUDN, 2007.